Garrett Berdan is a registered dietitian nutritionist and chef. As a culinary nutrition consultant, Garrett specializes in K-12 school nutrition programs, quantity recipe development, culinary training, food communications, marketing collateral development, and spokesperson work. His career includes experience in nutrition and culinary communications, program management, culinary nutrition instruction, work as a retail dietitian, and production assistance for a Food Network television program. 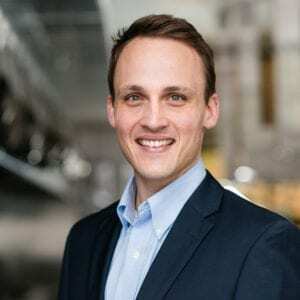 Garrett has written for Food and Nutrition Magazine and the American Journal of Lifestyle Medicine. To become a better food professional Garrett chose to complement his nutrition degree with training from The Culinary Institute of America at Greystone. He completed the Accelerated Culinary Arts Certificate Program in 2005 and he received the CIA Award for Culinary Achievement. In 2014 he began serving on the national advisory committee for Healthy Flavors, Healthy Kids, an initiative of the Culinary Institute of America. He continues to be involved as the Membership Chair of the CIA Healthy Kids Collaborative. Growing up in a farming family in Wenatchee, Washington gave Garrett an appreciation for the hard work that goes into producing nourishing foods. He is proud to support domestic food agriculture by working with commodity marketing commissions, growers and processors to bring wholesome and delicious meals to American tables. Garrett is a member of the Academy of Nutrition and Dietetics, the Food and Culinary Professionals (FCP) Dietetic Practice Group, the School Nutrition Dietetic Practice Group, and the School Nutrition Association. He has held many elected and appointed leadership positions with both the Oregon Academy of Nutrition and Dietetics and FCP. Garrett lives in sunny Bend, Oregon with his wife and son where they enjoy year-round recreation in the Cascade Mountains. Flavor trends are such an exciting part of being a culinary professional. The flavor trends that influence me depend on my target audience. When I’m working on K-12 school meal program recipes I look to trends I see in trade publications and lay publications. Generation Z doesn’t see food as ethnic, they see it as individual items. Instead of going out for Mexican food, they will specifically seek out street tacos. Or instead of looking for middle eastern food, they might be craving falafel. Gen Z is being raised with adventuresome palates, which is very exciting. I can push the limits to the edge of the flavor comfort zone a little bit. I personally like the flavor influences coming from Thai, Vietnamese, Korean, Lebanese, and regional Mexican cuisine. I like to get ideas from culinary publications such as Bon Appetit Magazine, Saveur, Food and Wine, and Food Network Magazine. Food trends that I see in these and similar publications will eventually trickle down into the non-commercial foodservice and K-12 meal programs segments. It is exciting to take a concept and “schoolify” it, as we like to say. I’m not sure that this is a prediction, but I would love to see naturally fermented whole grain rich breads become available for school nutrition programs. As a hobby I bake starter-leavened bread at home and the texture and flavor is much more satisfying to me than the usual commercial yeast sandwich loaf or bun. Pineapple Jalapeno Slaw: This recipe has been a hit with school meal programs. The pineapple gives the slaw some tangy sweetness, while the fresh jalapeno is subtly spicy with a bright green chili taste. It works any time of year and is delicious with barbecue. 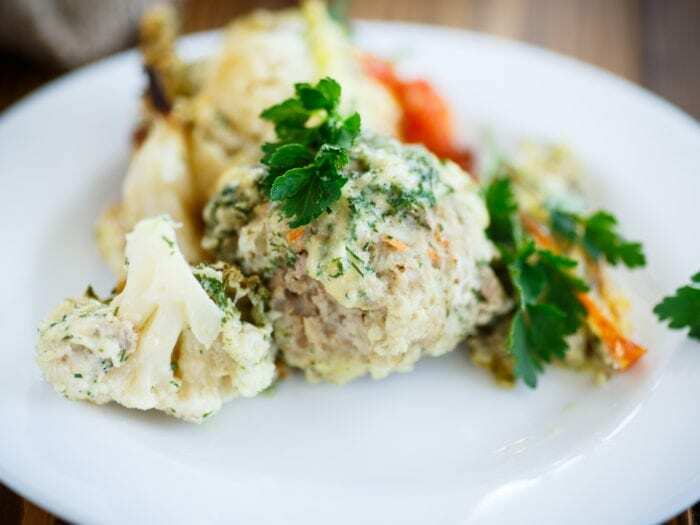 Cauliflower Tots: I can’t take credit for the idea to turn cauliflower into tots, but I do love the way this recipe plays with the flavors of buffalo wings. It’s an unexpected and delicious way to serve cauliflower. Sweet Corn Soup: Along with the Cauliflower Tots recipe, this one was developed for a lifestyle website called Rootopia. I love the convenience of frozen vegetables, especially super sweet corn. This sweet and creamy soup comes together in a snap and the corn flavor is amazing. It is especially nice garnished with some embellishments like croutons, fresh parsley or dill, and a bit of crumbly cheese. I have had many mentors throughout my career, even today. I really look up to registered dietitian nutritionists who have taking an unconventional career path that applies their nutrition training. It will come as no surprise that I particularly appreciate mentorship from RDNs who work in culinary-related fields. Chef Cyndie Story, Cathy Powers, Naomi Kakiuchi, Barb Pyper, Bob Earl, and Amy Myrdal Miller are just a few dietitians who have developed very interesting careers in nutrition. Being a chef satisfies my need for being creative, it gives me a chance to inspire others to cook and try new foods, and I can rely on it to provide something good to eat. I dropped out of graduate school to attend culinary school, which was a decision I didn’t take lightly. It was the best move I could have made. The experiences I have had since completing the Accelerated Culinary Arts Certificate Program at the Culinary Institute of America have been beyond what I could have dreamed in this uncommon skills combination of Chef/RDN. 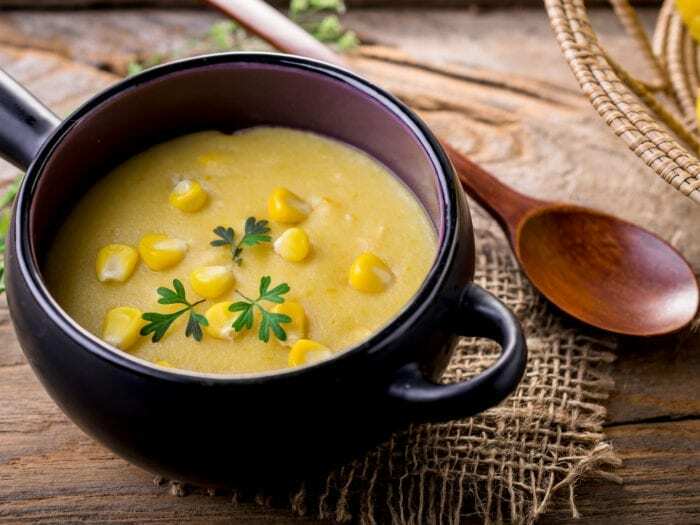 Sweet Corn SoupThis sweet and creamy soup comes together in a snap and the corn flavor is amazing. It is especially nice garnished with some embellishments like croutons, fresh parsley or dill, and a bit of crumbly cheese. 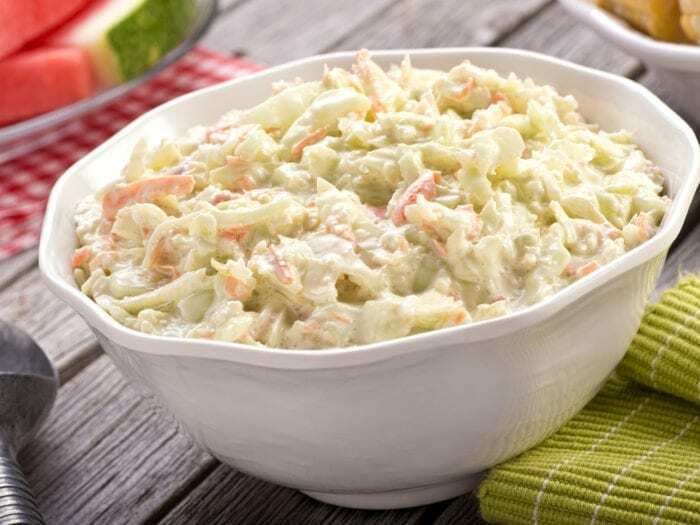 Pineapple Jalapeno SlawPineapple Jalapeno Slaw: This recipe has been a hit with school meal programs. The pineapple gives the slaw some tangy sweetness, while the fresh jalapeno is subtly spicy with a bright green chili taste. It works any time of year and is delicious with barbecue. Spicy Cheddar Cauliflower TotsCauliflower Tots: I can’t take credit for the idea to turn cauliflower into tots, but I do love the way this recipe plays with the flavors of buffalo wings. It’s an unexpected and delicious way to serve cauliflower. Sweet Corn Soup: Along with the Cauliflower Tots recipe, this one was developed for a lifestyle website called Rootopia.